Keeping ourselves healthy these days is getting to be more and more of a challenge. And the costs of healthcare are increasing to the point that some do not seek medical attention when they need it. So wouldn't it be great if there were systems in place to assist with keeping us healthy? The folks at Anteo Health have come up with a great way to do just that. 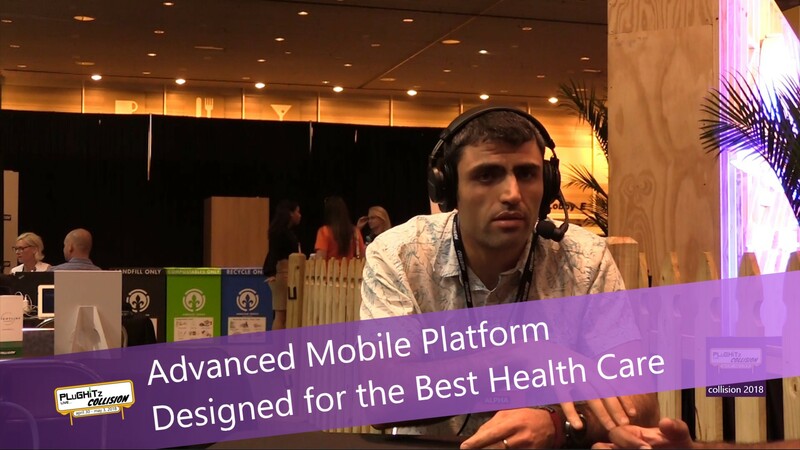 Narek Tamoyan, CEO of Anteo Health, stopped by to tell us about their approach and to show off their new app. Developed for insurance companies and healthcare providers, Anteo has a mobile health platform that is designed to put better healthcare options right at our fingertips. According to their research, 86% of healthcare costs in the United States are for chronic issues. This is due, in large part, to the fact that our healthcare system is reactive. There are so many tests, treatments, and therapies that are designed to prevent chronic and serious illness, but they are either not offered to us or they are not covered by our health insurance. And although none of us can figure out how this is more cost effective, both from a financial and an ethical standpoint, there really hasn't been anything we can do about it. But Anteo Health wants to start to shift the pendulum from reactive healthcare to preventative healthcare. This new, proactive care system is very forward thinking in the industry. It incorporates things like lifestyle changes and healthy weight management systems to make impacts on cognitive behavioral therapy (CBT) to improve our overall health and stave off chronic illness. To accomplish this, they segment the population into specific health groups that are based on a patient's health information. They consider two basic groups: 1) Static Health Data, which remains constant; and 2) a Big Data Set that is more dynamic and changes on a daily basis. It is this Big Data Set that constitutes the primary impact factors for behavior, i.e. physical activity, nutrition, vital signs and symptoms. All of this data is currently available on hundreds of systems. Anteo is integrating with these systems to get them into one, easy-to-use app. The information is then put into specific risk groups which allows them to suggest specific intervention plans for each group. The app even allows for enrollment into programs with a care team who monitors the data in real time. So if there is an escalation at any point, they will get the right attention, right away. Anteo Health faces the challenge of engaging patients in their own health so that they will be more likely to follow the instructions. Their goal is to get them interested in an interactive and educational manner. The interactive app will also bring the data in automatically with a patient's smart wearables. And it's not all about the data, they have also applied clinically validated research from well-known publications. This, along with the data, will generate very specific and personalized recommendations based on the health profile of the individual, which is then analyzed by their care team. As for availability, they launched a closed beta at the beginning of 2018 and are currently running pilot programs. the consumer app is available now on the Apple App Store and they are working on an Android version, as well. Get more information by visiting their website.